This collection of Thomas H. Ince films, sorted by a common theme, may be out of print today from Image Entertainment, but was easy enough for me to procure through Interlibrary Loan. It contains three of the movies I’ve reviewed recently: “The Coward,” “The Drummer of the 8th,” and “Granddad,” and pretty much nothing else. No special features, no commentary, not even a booklet with an essay about Ince and his work, at least none in the edition I got. Just the movies, plain and simple. The menu pages have electronic music turned up way too high (much higher in volume than on the movies themselves), and there are chapter menus, at least. The music is created by Eric Beheim and “his electronic Cotton Creek Orchestra,” and it has most of the themes you’d expect for Civil War movies. It’s not outstanding, like a score by Jon Mirsalis, but it is intentional and fits the action, unlike some silent scores where someone just drops a needle and goes for a coffee break. 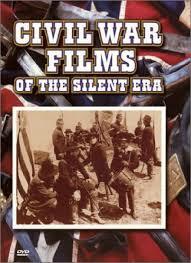 Overall, I recommend this collection as of historical interest, especially for those who think Griffith was the be-all and end-all of silent Civil War drama.